The Foster 60941 Keencut 144" Proteus Workbench saves time and money. Turn Your Precision Cutting Bar into a Cutting System. 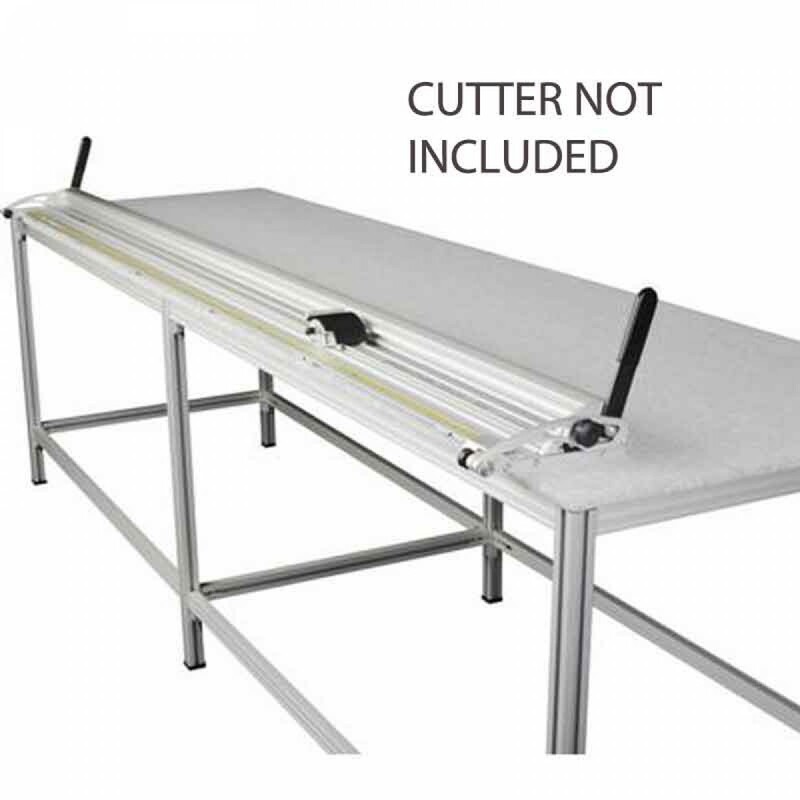 The Keencut Proteus Workbench, combined with the Javelin Integra or the original Evolution cutter, creates the ultimate precision cutting table. The modular design of the Proteus enables growing businesses to re-configure and expand their bench as needed quickly and economically to work in concert with new demands. No extra tools are necessary, assembly is ultra-simple, and the applications are endless. Any bench or table unit can be fitted with a customer-supplied top of choice glass, MDF or plywood; the glass installment requires the optional white silicone cord and four extra end caps.